Earlier this month, The Doris Duke Charitable Foundation gathered the grantees of their Child Well-Being program for a summit in Atlanta, Georgia June 4-5, 2018. This was the first meeting of its kind with the entire child well-being program together to strengthen and increase collaboration amongst all DDCF grantees. 11 Doris Duke fellows attended the conference and presented their research, including: Clinton Boyd, Jr., Cohort Six fellow; Scott Brown, Cohort Six fellow; Megan Finno-Velasquez, Cohort Two fellow; Allie Giovanelli, Cohort Six fellow; Paul Lanier, Cohort One fellow; Katie Paschall, Cohort Four fellow; Lisa Schelbe, Cohort One fellow; Judith Scott, Cohort Five fellow; and Aditi Srivastav, Cohort Seven fellow. Wendy Ellis, Cohort Seven fellow, and Jared Parrish, Cohort Five fellow also attended the meetings as representatives of program grantees and presented their work, as well. Posters represented a variety of topics of, including childhood resilience, immigration, home visiting, pregnant and parenting youth in the foster care system, and discrimination. 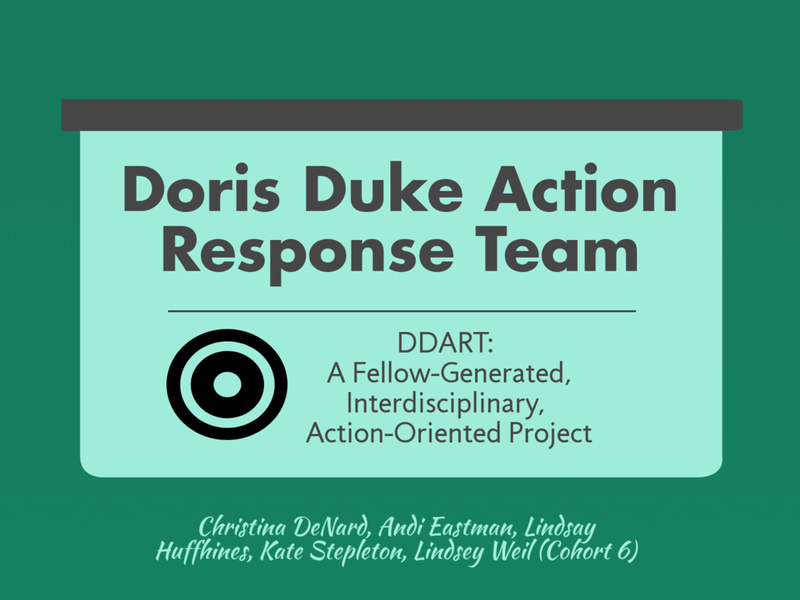 We are so glad to have a great group of interdisciplinary leaders represent The Doris Duke Fellowships. Thank you! 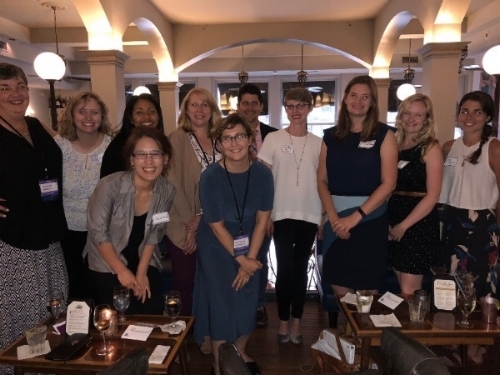 Take a look at the newest blog post about interdisciplinary action by Cohort Six Fellows: Christina DeNard, Andi Eastman, Lindsay Huffhines, Kate Stepleton, and Lindsey Weil. NCCAN recently released their Call for Abstracts, with a deadline of July 3. We at the fellowship want to encourage all current and graduated fellows to submit abstracts! This interdisciplinary conference, hosted by the Children’s Bureau’s Office on Child Abuse and Neglect within the Administration on Children, Youth and Families in D.C., is an excellent place to come together with other researchers, policymakers, and practitioners who are focused on the prevention of child maltreatment and the promotion of child well-being. Each of the five learning tracks for this year’s conference (i.e., Prioritize Prevention, Focus on Well-Being, Reshape Foster Care as a Support for Families, Build Community Capacity, and Support the Workforce) are topics in which all fellows’ research would be an excellent fit! Additionally, there is no registration fee for this conference, making it much more accessible. Collaboration between fellows and academic and policy mentors is encouraged! 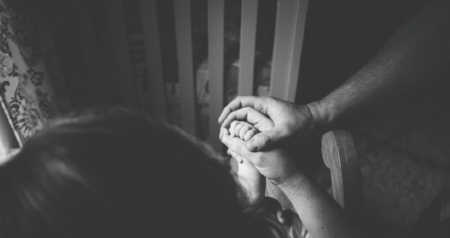 Tova Walsh, Cohort One fellow, recently published an opinion piece entitled “Military families can teach us about the cost of family separations.” Click here for a link to read more. Congrats, Tova! This past week a group of Doris Duke Fellows attended the 25th Annual Colloquium in New Orleans where 20+ fellows presented on various topics addressing all aspects of child maltreatment. The fellows and their mentors were all able to gather near the conference for a casual happy hour. Thanks for all who attended and congrats on partaking in the conference. Chapin Hall at the University of Chicago released a statement in response to the recent U.S. government practice of forcibly separating parents and children who arrive at U.S. borders. Click here to read more. Jay Miller, Cohort Two, launched a Self-Care Research Lab at the University of Kentucky where he will serve as the Director and PI. Click here to read more about Jay and the incredible work planned for the Lab! 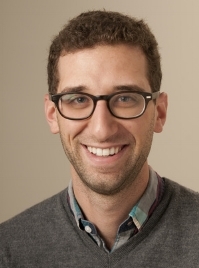 Will Schneider, Cohort Two, will finish his Postdoctoral Internship at Northwestern University this summer and will start as an Assistant Professor at the School of Social Work at the University of Illinois at Urbana-Champaign in the fall. Congrats, Will! published a paper entitled, “School readiness among children of Hispanic immigrants and their peers: the role of parental cognitive stimulation and early care and education” in Early Childhood Research Quarterly for an upcoming issues focused on early childhood education among Hispanic families. Click here to read more! is the recipient of the Dr. Karen Gale Exceptional PhD Student award at Georgetown University. Congratulations, Christina! Catherine Corr, Cohort Four, served on a panel at the University of Illinois at Urbana-Champaign School of Education to discuss the documentary film Resilience, which highlights the link between childhood trauma and mental and physical health issues later in life. The discussion focused on next steps needed to help children and families thrive.